When Gopi Krishna Kishore asked his mother Saroja to organise a meal for a bunch of strangers in their Attapur residence in March, she was baffled. Mostly because he wanted her to “charge Rs 120 per person”. “Are you crazy? Why will somebody pay for my food? I don’t cook that well,” she told Gopi. However, two of his friends and eight strangers turned up that afternoon after he posted a Facebook event. The guests feasted on an elaborate Andhra meal comprising prawn fry, chicken biryani, egg fry, aloo fry, sambhar, rasam and desserts, and promised to be back. 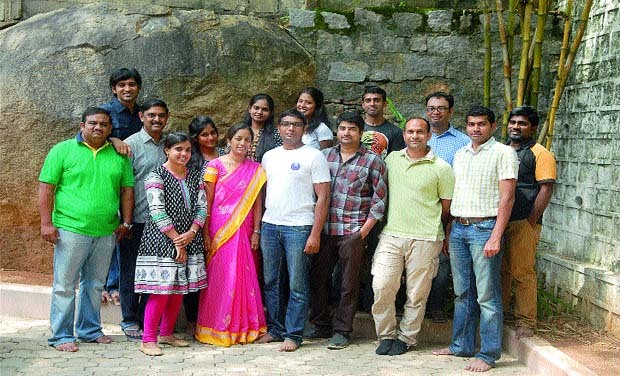 The experiment left Saroja satisfied and her IT engineer son confident about his startup idea, Feazt. Since then, 50 strangers have got together over nine feasts across the city, mainly for Andhra meals and once for an Iftar spread. It has now got many of the moms, who attended the feasts, bringing out the stone grinders and rustling up good-old recipes of their native villages. And for outstation students and working professionals, their homes just got a little closer. Last Sunday, homemaker Ashalata was the host for the day and she says, “It’s not just about having a feast. You have people from varied backgrounds coming together and as they discuss various topics, they get to taste delicacies they had never had before.” She had an East Godavari theme. Gopi explains what Feazt is trying to do: “I am connecting people who are passionate about cooking with those who like eating, exploring new varieties. This way, we can learn a lot about each other’s culture, food, variety, the way it is eaten and of course, the cooks. Honestly, India is a treasure trove when it comes to food.” Gopi knows this well as he has been to the interiors of Rayalaseema, Nellore, Kadapa and Kakinada to pick up culinary secrets.